Recent Neolithic studies suggest that social relations, as well as their material manifestations, can be envisioned as amalgamations of social practices that alternatively serve to highlight elements of social differentiation and egalitarianism in communities. This perspective relies on ethnographic and anthropological research that illustrates three aspects to social relations in present and past middle-range communities: (1) social inequality is ubiquitous and found in all societies (Blanton 1995;Feinman 1995;Hayden 1995a, b; Kelly 1993; Paynter 1989); (2) "egalitarian" social systems require highly complex codes of social behavior, codes that are as complex as those seen within cultural contexts where systems of hereditary power exist (Flanagan 1989;Gerlach and Gerlach 1988;Rayner 1988); and (3) hierarchy and egali-tarianism are fundamentally interrelated and coexist in many, if not most, social systems (Berreman 1981; Kan 1989; McKinnon 1991; Myers 1986; Plog 1995). A number of recent ethnographic studies (Flanagan 1989; McKinnon 1991; Schiller 1997) have clearly demonstrated that most forms of governance in small-scale agricultural or horticultural communities combine hierarchical and egalitarian dimensions, and several archaeologists have applied this framework to explore social relations in different archaeological contexts (e.g., Blanton 1995;Feinman 1995;Plog 1995; Renfrew 1974). For example, Plog (1995:190) notes that ethnographic accounts from historical periods illustrate egalitarian dimensions in Pueblo society as well as hierarchical ones, leading him to conclude that "rather than trying to characterize Pueblo social relations using a single label, it seems more accurate to concluded that there are both egalitarian and hierarchical aspects of Pueblo societies, a point that has tended to be under-emphasized, if not over looked, during much of the previous discussion in the archaeological literature." As with Plog's recognition of the coexistence of hierarchical and egalitarian dimensions in Pueblo societies, the authors in this volume introduce important implications for how researchers can understand Neolithic social systems. On one level, adoption of this approach moves discussions beyond consideration of the initial appearance of social differentiation, or, for that matter, how archaeologists should label Neolithic specific social systems, to explorations of the nature of social relationships. 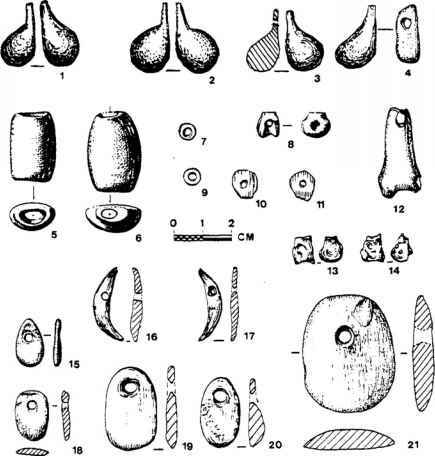 Second, this perspective encourages researchers to understand variations in Neolithic social organizations through time and space and at different scales. In the models we have developed to describe Neolithic social systems, we too often fail to acknowledge variations in time and space, and as a result often produce highly simplistic and broad formulations of social systems. Such a trend risks the intellectual homogenization of the Neolithic and the multiple pathways to power and authority, ultimately producing monolithic reconstructions that overlook the subtle, yet significant, differences between different kinds of Neolithic communities in different places and times. Finally, researchers recognize that internal social relations in Neolithic communities were more dynamic and complex than most of our models allow. Despite the rich archaeological record of the Neolithic of the Near East, remarkably little literature has focused on modeling social relations at any scale. Acknowledging that egalitarian and hierarchical relations are likely to have coexisted in select periods releases researchers from the focus on labeling societies and facilitates the development of realistic and comprehensive models of cultural dynamics, including the possible pathways to power and authority in Neolithic communities. Neolithic Social Organization Heterarchy, Hierarchy, or Both? There are many possible ways to conceptualize how power and authority might have been controlled and/or shared in Neolithic communities. While often unrecognized, many discussions of Neolithic social systems are also situated within the much broader discussion of if, or how, social relations in agricultural communities are organized along hierarchical and heterarchical lines (Crumley 1987). In the case of the Neolithic, these positions differ in whether the pathways cf power existed as either a single hierarchical system or one in which there were numerous coexisting hierarchical power structures. While there is no consensus on the matter, I suspect that most archaeologists working on the Near Eastern Neolithic would agree that there is no convincing evidence for some form of organized central social hierarchy, exemplified by the existence of hereditary elites, and ethnographically exemplified by chiefdom-level organizations. To the same extent, however, many researchers note evidence for some form of social differentiation among individuals, households, or communities, especially in the later periods of the Neolithic. While almost no archaeological research has directly addressed the topic, I suggest that it is likely that social differentiation in the Neolithic was derived from the authority of ritual practitioners, civic leaders, or perhaps community/household elders. If there are insufficient grounds to argue for a hierarchically organized system of leadership focused on an individual or group of individuals with differential access to resources and authority, then it may be more profitable to alternatively envision Neolithic social relations as an organized series of interrelated, coexisting hierarchical units. From some perspectives, archaeological evidence from the Near Eastern Neolithic reflects several forms of hierarchical ritual and civic administration. For example, it appears that some dimensions of ritual practice found expression on the community level and would have undoubtedly involved ritual practitioners who controlled the timing, nature, and context of some, but not necessarily all, community rituals (see Chapter 5, this volume; Kuijt 1996; Mellaart 1967; Rollefson 1986;Voigt 1983). Researchers have also reflected on the importance of civic leadership for other tasks, such as the construction and maintenance of community buildings (Byrd 1994,Chapter 4, this volume; Kafafi andRollefson 1995; OzdoganandOzdogan 1989; Schirmer 1990; VoigtChapter 11,this volume). In light of the number of people living in some of these Neolithic communities, it is also possible that some form of civic, community-oriented leadership would have been necessary for organizing the planting and harvesting of crops. Based on spatial patterning of lithic waste materials from 'Ain Ghazal, Quintero and Wilke (1995) note that there is evidence for stone tool workshops in the Middle Pre-Pottery Neolithic and that the high degree of standardization may well reflect some from of craft specialization. Given the absence of differentation in residential architecture and mortuary practices, however, I would suggest that collectively we construct a picture of Neolithic communities in which we see a balance of economic centralization and autonomy and of coexisting dimensions of egalitarianism and hierarchy. Moreover, to understand the shifting nature of these relationships through time, it is helpful to conceptualize Neolithic community relations as focused on a series of interrelated coexisting social units that might have included, but were not limited to, kin groups, the household, ritual sodalities, and the community. Ultimately the point here is not to argue that Neolithic community relations should be viewed only as heterarchically organized, for this argument is admittedly more observed than demonstrated. Instead the papers in this volume encourage researchers to explore the diversity of social relations through material culture and the built environment, and to abandon the predetermined position that these material manifestations are linked to a single hierarchical thread. I believe that the studies in this volume provide an initial foundation upon which to understand some dimensions of different, yet interrelated, pathways of power and authority existed in the Neolithic of the Near East.